Dalian Promotional Video by 枫丹白露, 2015. Dalian is a major city and seaport in the south of Liaoning Province, China. It is the southernmost city of the Liaodong Peninsula. Dalian is the province's second largest city and has sub-provincial administrative status. The Shandong Peninsula lies southwest across the Bohai Strait and Korea lies across the Yellow Sea to the east. Today a financial, shipping and logistics centre for Northeast Asia, Dalian has a significant history of being used by foreign powers for its ports. Dalian was previously known as both "Dalniy" (Russian: Дальний; Dal'nii) and "Dairen" (Japanese: 大連). However, the city was better known as "Port Arthur" (Russian: Порт-Артур; Port-Artur) and "Ryojun" (Japanese: 旅順) from the original Port Arthur, now the city's Lüshunkou district. In 2016, Dalian ranks 48th in the Global Financial Centres Index, the other Chinese cities on the list being Hong Kong, Shanghai, Shenzhen, Beijing and Qingdao. In 2012, Dalian ranked 82nd in the Global City Competitiveness Index. In 2006, Dalian was named China's most livable city by China Daily. 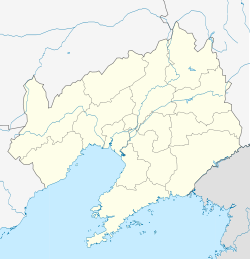 Modern Dalian originated from Qingniwa (Chinese: 青泥洼; pinyin: Qīngníwā; literally: 'cyan mud swamp') or Qingniwaqiao (Chinese: 青泥洼桥; pinyin: Qīngníwāqiáo; literally: 'bridge over the cyan mud swamp'), a small fishing village. Russia built a commercial town for the Kwantung Leased Territory after assuming control in 1898 and called it "Dalniy" (Russian: Дальний, translit. Dal'nii, lit. 'a remote one (in reference to the town's location)', rendered as Chinese: 达里尼; pinyin: Dálǐní) from 1898–1905. After the Russo-Japanese War, Japan occupied the Kwantung Leased Territory and renamed the city Dairen (Japanese: 大連/だいれん) after the Chinese name for Dalian Bay (simplified Chinese: 大连湾; traditional Chinese: 大連灣; pinyin: Dàlián Wān). English sources called the city "Dairen" in this period, from the Japanese. In 1950, Dalian merged with nearby town called Lüshun (Chinese: 旅顺) (formerly "Ryojun" and before that, "Port Arthur") to form the city of Lüda (Chinese: 旅大; pinyin: Lǚdà), a name formed from the first syllable of each constituent's name which was usually rendered as Luta in English during that era. In 1981, the State Council again renamed the city, from Lüda to "Dalian" (simplified Chinese: 大连; traditional Chinese: 大連; pinyin: Dàlián, the same Chinese characters as Japanese Dairen), effective 5 March 1981. In the Qin and Han periods (221 BC–AD 220), Chinese expanded their territories into northern Korea through the Dalian region, then under the jurisdiction of Liaodong county. During the Sixteen Kingdoms era (3rd through 5th centuries), the kingdom of Goguryeo controlled this region. In the early Tang Dynasty (618–907), the Dalian region was part of Andong Prefecture in Jili state; during the Liao Dynasty (916–1125), it was part of Dong Jing Tong Liaoyang county. Dalian was named Sanshan in the period of Wei Jin (220–420), San Shanpu in the Tang Dynasty (618–907), Sanshan Seaport in the Ming Dynasty (1368–1644), and Qingniwakou during the Qing Dynasty (1644–1911). In the 1880s, Jinzhou, the north of downtown within Dalian, now Jinzhou District, was a walled town and centre for political intrigue and economic activity. The Qing government built bridges and heavily fortified the peninsula. Mining camps on the northern coast of Dalian Bay became the small town of Qingniwa or Qingniwaqiao, near what became downtown Dalian. Zhongshan Square, then Ōhiroba, ca. 1940. It was initially built in 1898 as Nikolayevskaya Square. The British occupied Qingniwa in 1858, but it returned to Chinese control in the 1860. Port Arthur at the peninsula's tip took its English name from Royal Navy Lieutenant William C. Arthur, but Chinese called it Lüshun. Although China heavily fortified the area, in which it allowed trade with foreigners, Japan swiftly overcame those defenses[citation needed] in the First Sino-Japanese War, committing the Port Arthur massacre during the war in November 1894. In April 1895, China conceded defeat in the First Sino-Japanese War, ceding Liaodong Peninsula, Taiwan and Penghu, and making many other concessions in the Treaty of Shimonoseki. The Triple Intervention by Russia, France and Germany forced Japan to return the Liaodong Peninsula to China, despite the treaty's terms; instead the Russian Empire coerced a lease of the peninsula from the Qing Dynasty in 1898. For Russia the region of the peninsula was of particular interest as one of the few areas in the region that had the potential to develop ice-free ports. The Russians built a modern commercial port city, which they wanted to become the Paris of the Far East, and called it Dal'niy (Russian: Дальний). Linked to the Trans-Siberian Railway's branch line from Harbin, Dalniy became Russia's primary port-city in Asia, and also served other western traders. Russia signed the Pavlov Agreement (1898) with China, which granted Russia a 25-year lease on Dalian and Lüshun and exclusive right to lay a branch of the Chinese Eastern Railway—what would become the South Manchurian Railway. Russia spent more than 10 million golden rubles (equivalent to 11.5 billion of today's rubles) building the new ice-free port city. Russia heavily fortified both Dalniy (Qingniwaqiao of Zhongshan District) and the Port Arthur naval base (Lüshunkou) before and after the Boxer Rebellion. Missionaries and converts were killed in the peninsula during the insurrection, although the massive massacres of ethnic Chinese Christians including Metrophanes, Chi Sung occurred at Harbin. Also, Western expeditionary forces suppressed the Boxers across the Yellow Sea in Shandong. The Treaty of Portsmouth ceded Port Arthur to Japan, which set up the Kwantung Leased Territory or Guandongzhou (關東州), on roughly the southern half (Jinzhou District and south) of present-day Dalian. Japanese invested heavily in the region, which became the main trading port between Manchuria and Japan. Japan leased the area from Manchukuo after establishing the puppet state in 1932. In 1937, as the Second Sino-Japanese War began, Japan enlarged and modernized the trade zone as two cities: the northern Dairen (Dalian) and the southern Ryojun (Lüshun or Port Arthur). In 1950, the USSR presented the city to the Chinese Communist government without any compensation. Dalian and Lüshun (former Port Arthur) merged as Lüda on 1 December 1950. 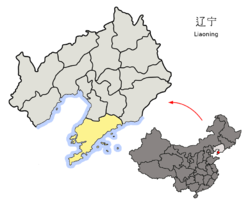 From 12 March 1953 to 1 August 1954 it was a direct-controlled municipality and not part of Liaoning. Soviet troops left the city in 1955. After the Soviets left, the PRC made Lüda a major shipbuilding centre. In 1981, it was renamed Dalian, with Lüshunkou becoming a constituent district. In 1984, the Chinese Government designated the city a Special Economic Zone. At the time, Dalian was China's largest foreign trade port. The city was upgraded from a prefecture-level city to a sub-provincial city in May 1994, with no change in its administrative subdivisions. In the 1990s the city benefited from the attention of Bo Xilai (later Communist Party head of Chongqing) who was both the mayor of the city and one of the major leaders in the province, who, among other things, banned motorcycles and planted large, lush parks in the city's many traffic circles. He also preserved much of Dalian's Japanese and Russian architectural heritage. He also worked as former Minister of Commerce of the PRC. In 2008, about 1,000 people protested and blocked traffic as a response of the 2008 Tibetan anti-Chinese protests, and forced the temporary closure of the local Carrefour store. In 2010, one of the worst recorded oil spills in China's history occurred in Dalian. Since 2007, Dalian has been hosting the Annual Meeting of the New Champions ("Summer Davos"), organised by the World Economic Forum, in alternating years with Tianjin. The venue for the forum is Dalian International Conference Center in Donggang CBD. 14 August 2011 - Dalian PX protest occurred. One of the most heavily developed industrial areas of China, Dalian municipal area today consists of Dalian proper and the smaller Lüshunkou (formerly Lüshun city, known in Western and Russian historic references as Port Arthur), about forty nautical miles (74 kilometres; 46 miles) farther along the Liaodong Peninsula. Historical references note that the Russian designed city of Dalniy (Alt. Dalney), on the south side of Dalian Bay was 40 kilometres (25 miles) from Port Arthur/Lüshun (known today as Lüshunkou or literally, Lüshun Port). Dalian is located on Korea Bay north of the Yellow Sea and roughly in the middle of the Liaodong peninsula at its narrowest neck or isthmus. With a coastline of 1,906 km (1,184 mi), it governs the majority of the Liaodong Peninsula and about 260 surrounding islands and reefs. It is seated at south-south-west of the Yalu River, and its harbour entrance forms a sub-bay known as Dalian Bay. Dalian has a monsoon-influenced humid continental climate (Köppen Dwa), characterised by warm wet summers due to the East Asian monsoon, and cold, windy, dry winters that reflect the influence of the vast Siberian anticyclone. Except for winter, the city experiences a one-month seasonal lag due to its position on the Liaodong Peninsula. The monthly 24-hour average temperature ranges from −3.6 °C (25.5 °F) in January to 24.4 °C (75.9 °F) in August. Annual precipitation averages 580 millimetres (22.8 in) but is heavily concentrated in the summer months and can vary greatly from year to year. Due to the coastal location, the mean diurnal temperature variation annually is small, at 6.66 °C (12.0 °F). The monthly percent of possible sunshine ranges from 49% in July to 68% in September and October, with 2,740 hours of bright sunshine annually. The annual mean temperature is 11.26 °C (52.3 °F). Extremes since 1951 have ranged from −21.1 °C (−6 °F) on 4 January 1970 to 36.6 °C (98 °F) on 14 July 2015. In 2001, the United Nations Environment Programme awarded the Dalian Municipal Government for its outstanding contribution to the protection of the environment. The average content of the four pollutants in the air reached Class Ⅱ of National Ambient Air Quality Standards and there were 353 days with Air Pollution Index (API) over Class Ⅱ (Good), including 108 excellent days with Class Ⅰ (Superior). Dalian frequently ranks Grade 2 for air pollution according to State Environmental Protection Administration. However, the environmental effects of economic growth are of concern, according to Dalian Environmental Protection Agency, during the first half of 2011, respirable particles in the air increased significantly, with an average 40% higher than 2010. The water quality of offshore marine space remained stable overall. The annual average content of monitoring indicators for water quality met Class-II of the National Seawater Quality Standard, with the exception of Inorganic Nitrogen in Dalian Bay and the city's southern coast. The water quality of drinking water sources is considered good and complies with Class-III of Environmental Quality Standards for Surface Water. Recent events have had a major environmental impact on the city. In July 2010, the explosion of two petroleum pipelines released 11,000 barrels of oil into the Yellow Sea, according to official statements. Rick Steiner, an American marine conservationist working with Greenpeace, says that the figure could be upwards of 400,000. It was reported as the largest oil spill to occur in China, and involved 2,000 firefighters. The oil spill stretched for at least 50 square kilometres (19 sq mi). 800 fishing boats were mobilized for the cleanup. The incident caused President Hu Jintao and Premier Wen Jiabao to intervene, and Vice Premier Zhang Dejiang moved in to help direct the rescue work. A researcher with the China Environmental Science Research Institute, said that "the impact on marine life and on humans – as the pollution enters the food chain – could last 10 years." This has compounded aquatic pollution, affecting the city's fishing industry. In August 2011, a dike protecting the petrochemical Fujia Factory in Jinzhou District was breached due to a typhoon. Authorities have ordered the plant to be shut down. Around 12,000 residents protested as the factory, which originally was intended to be based in Xiamen, did not receive official approval to operate in Dalian. Municipal authorities ruled that the facility must move, leaving taxpayers to pay the expensive cost of relocation. Concerns have been raised over mounting traffic due to "bad urban design" and that the growing rate of car ownership is affecting air quality. The United States National Academy of Engineering have raised concern about rising traffic in Dalian stating that "rapid growth of traffic in Dalian and in similar Chinese cities will repeat the air quality and energy consumption mistakes of Los Angeles and other U.S. cities, if not better managed." The municipal government is located in the main building on the north side of People's Square on Zhongshan Road, originally built as the Administrative Office of Kwantung Leased Territory, and other buildings in downtown Dalian. There are the Commerce, Foreign Economy & Trade, Hygiene, Information Industry, Police, Religion, Science & Technology, Transportation and other city-level bureaus, which work closely with the corresponding agencies at the district level. The city has had a continuous annual double-digit percentage increase in GDP since 1992. In 2014, the city's GDP registered a 5.8% increase, reaching RMB 765.56 billion, while per capita GDP hit RMB 109,939. According to a nationwide appraisal by the National Bureau of Statistics, Dalian ranks eighth among Chinese cities in terms of overall strength. The city’s main industries include machine manufacturing, petrochemicals and oil refining, and electronics. Dalian was originally an agriculture and aquaculture-based area, which, after the opening of the ferry between Yantai and Lüshun during the early 20th century, began to be populated by the farmers and fishers of Shandong, across the Yellow Sea during the Chuang Guandong era. Even before and during the Second Sino-Japanese War, the shipbuilding and locomotives industries were located in the city such as the companies which later became Dalian Shipbuilding Industry Company and Dalian Locomotive & Rolling Stock Works (DLoco). After the WWII, Dalian became an important centre of the heavy and light industries, including companies such as Dalian Heavy Industry Co., Dalian Chemical Group, and Wafangdian Bearing Co.; and of the distribution industry, such as the Dashang Group. Dalian Port is an important port for international trade. It has established trading and shipping links with more than 300 ports in 160 countries and regions of the world. There are over 100 international and domestic container shipping routes. A harbor for oil tankers (the largest by tonnage in China), at the terminus of an oil pipeline from the Daqing oilfields, was completed in 1976. Dalian is the 6th largest port in China; and according to AAPA world port ranking data, Dalian is the 8th busiest port in the world by cargo tonnage in 2012, and the 12th busiest container port in the world by total number of TEUs handled in 2013. Accordingly, Dalian is a major center for oil refineries, diesel engineering, and chemical production. Also completed in 1993 is a newer port called Dayaowan Port (Chinese: 大窑湾港; pinyin: Dà yáo wān gǎng), on Dagushan (Chinese: 大孤山; pinyin: Dà gū shān) Peninsula in the northern suburbs, specialising in import-export of mining and oil products. Together with the Dalian Railway Station, Dalian North Railway Station, Dalian International Airport and two major express roads to Shenyang (Shenda Expressway), Changchun (Changda Expressway), Harbin (Hada Expressway) in the north and to Dandong to the east, Dalian has been an important distribution centre. Dalian has been given many benefits by the Chinese government, including the title of "open-city" (1984), which allows it to receive considerable foreign investment (see Special Economic Zone). The Development Zone was established in Jinzhou District, to which many Japanese companies, such as Canon, Mitsubishi Electric, Nidec, Sanyo Electric and Toshiba, followed by South Korean, American and European companies (such as Pfizer). In 2007, Intel announced plans to build a semiconductor fabrication facility (commonly known as a fab) in the Development Zone, Dalian. It is Intel's first fab to be built at an entirely new site since 1992. The facility began operation in October 2010. Dalian also houses auto-manufacturing plants for Chery, Dongfeng Nissan Passenger Vehicle Company, and BYD Automobile (a production base for BYD K9 electric buses). Other zones in the city include the Dalian Economic and Technological Development Zone, Dalian Export Processing Zone, Dalian Free Trade Zone, and Dalian Hi-Tech Industrial Zone. Dalian is the financial centre of Northeast China. There are the Dalian branches of China's five major banks: Bank of China, Industrial & Commercial Bank of China, China Construction Bank, Bank of Communications, and Agricultural Bank of China. Dalian City Commercial Bank is now called Bank of Dalian, which among other things handles processing of the Dalian Mingzhu IC Card for public transportation. Bank of Dalian has opened branches in Beijing, Shanghai and Shenyang, among five other cities. Founded in 1993, Dalian Commodity Exchange (DCE) is the only futures exchange in Northeast China. The futures industry leaped forward in its development. Among its 16 listed futures products approved by the China Securities Regulatory Commission (CSRC) are corn, corn starch, soybeans, soybean meal, soybean oil, RBD palm olein, linear low-density polyethylene (LLDPE), polyvinyl chloride (PVC), polypropylene (PP), coke, coking coal, iron ore, egg, fiberboard and blockboard. In 2014, DCE achieved 770 million lots and RMB 41.5 trillion respectively in trading volume and turnover. According to the Futures Industry Association (FIA) of the U.S., DCE ranked the 10th out of the global leading derivative exchanges in 2014. Since the 1990s, Dalian has emphasized the development of the IT industry, especially in Dalian Hi-Tech Zone and Dalian Software Park in the western suburbs near Dalian University of Technology. Dalian High-Tech Zone is the base of high-tech industries, housing more than 4,700 enterprises, including 80 Fortune Global 500 companies. Not only Chinese IT companies, such as DHC, Hisoft and Neusoft Group, but also American, European, Indian and Japanese IT companies are located there, including Infosys, IBM, Dell, HP, Ericsson, Panasonic, Sony, Accenture, Oracle, Hitachi and Cisco. Nine professional business incubators are also located in the area, including the Hi-tech Business Incubator, animation and software incubators, with over 400 companies incubated. Currently, the "Lüshun South Road Software Industry Belt" Plan is proceeding, including Dalian Software Park Phase 3. Intel's Fab 68 is located in Dalian. The plan was announced on 26 March 2007, and operations started on 26 October 2010. It is Intel's first chip-manufacturing fabrication in East Asia. Dalian is a popular destination among domestic tourists and foreign visitors, especially from Japan, South Korea and Russia. Its mild climate and multiple beaches as well as its importance in the modern history of China have attracted tourists. Some of the most famous beaches are Jīnshítān Golden Coast (金石滩黄金海岸) beach, Fùjiāzhuāng (付家庄) beach, Bàngchuídǎo (棒棰岛) beach, Xīnghǎi Park (星海公园) beach, Xīnghǎi Bay (星海湾) beach, and Xiàjiāhézi (夏家河子) beach. In 2007, it was one of the three cities named "China's best tourist city", along with Hangzhou and Chengdu, recognized by the National Tourism Administration and the United Nations World Tourism Organization. Originally designed by Russians in the 19th century, Zhongshan Square (中山广场) is especially noted for the several classical buildings located around the square built during the first half of the 20th century by the Japanese. Laohutan Ocean Park: the park contains the Polar Region Marine Animals World, the Coral Aquarium, and the World of Birds. The white whale and dolphin show is a major attraction in the Polar Region Marine Animals World. The Tigers Sculpture Square is nearby, whose tiger sculpture is the symbol of Tiger Beach (老虎滩; Lǎohǔtān). A retired Anshan-class destroyer Taiyuan is open to visitors. Xinghai Square: situated at the Xinghai Bay, Xinghai Square (星海广场; 'Square of the Sea of Stars') was built at the centennial of the City of Dalian (1998) and is the largest city square in the world. Bangchuidao Scenic Area: a well-maintained park used as a State Guesthouse since 1960, the Bangchuidao Scenic Area is now open to the public with upgraded features including lavish greens, Chinese and western style villas, hot spring, tennis courts, badminton courts, a recreation center, a golf course and the Bangchuidao beach. The Bangchui Island (棒棰岛; Bàngchuí Dǎo, named for an islet in the shape of an ancient washing tool Bangchui) can be seen from the beach. As a State Guesthouse, the scenic area has received numerous Chinese and foreign leaders and high-profile officials, including Zhou Enlai, Deng Xiaoping, Jiang Zemin, Hu Jintao, Henry Kissinger, Boris Yeltsin, Gerhard Schröder, Juan Antonio Samaranch and so on. Jinshitan National Holiday Resort and the Discoveryland (pinyin: jinshitan l=Golden Pebble Beach) is composed of eastern peninsula, western peninsula, open ground between two peninsulas and the ten-mile Golden Coast beach. Major sightseeing points include, Golden Pebble Waxworks Museum, Geological Museum, Coastal National Geopark, International Vehicle Campsite, Tang Dynasty Hot Spring Resort, Golden Rock Park, Wanfuding Park, China Martial Arts Hall, Discoveryland Theme Park, Mao Zedong Badge Exhibition Hall, Model Movie & TV Art Center, Golden Pebble Hunting Club, Golden Pebble Equestrianism Base, Golden Pebble International Convention Center & Resort, Golden Pebble Golf Club, and Golden Gulf Golf Course. Several themed events, such as Dalian International Beach Carnival, International Winter Swimming Festival and Grape Festival, take place in Jinshitan annually. The Discoveryland Theme Park (发现王国, also translated as "the Discovery Kingdom") was built in 2006 and covers an area of 470,000 square miles (1,217,294 square kilometres). It was designed by Romero Petrilli VanRell Associates who participated in the design of the Disney theme park. The fiercest battle site and the signing site of the ceasefire treaty, of the Battle of Lüshun during the Russo-Japanese War (1904–05). The prison was built by Russians in 1902 and later expanded by the Japanese. During World War II, the prison was used to detain people of various nationalities who were against the Japanese invasion. An Jung-geun, the Korean independence activist who assassinated Itō Hirobumi, was imprisoned and killed there. Héngshān Temple (横山寺) is near Lóngwángtáng Reservoir (龙王塘水库). The temple dates back to the Han Dynasty, and was rebuilt in 2003. Not many people ride bicycles in Dalian because of the hilly roads. Dalian is also one of the many cities in China where there are few motorcycles, because motorcycle riding on most roads is banned by law. The city has a comprehensive bus system and an efficient metro system. As of November 2015, the Dalian Metro consists of the underground Line 1, Line 2, and the overground Line 12 (Formerly called line R2) and Line 3. New lines and expansion of the metro system are under way. The Dalian Tram system is the second oldest in China. Most of the public transportation in the city can be accessed using the Mingzhu IC Card (明珠卡). In 2005 Dalian expanded the international airport, Dalian Zhoushuizi International Airport, with direct flights to the most major cities in China, and to cities in Thailand, South Korea, Japan and many countries in East Asia. In 2014, the airport was the 20th busiest airport in China with 13,551,223 passengers. The airport is the hub of Dalian Airlines. The city's location means that train trips to most Chinese cities outside China's northeastern region require changing trains in Beijing or Shanghai. With the high-speed rail system, trips from Dalian to Shenyang can be completed in 1.5 hours, to Changchun 2.5 hours and to Harbin 3.5 hours. The city has two railway stations, namely Dalian railway station and Dalian North railway station (IATA: DBL)[citation needed], the latter being part of the Harbin–Dalian high-speed railway. In addition to local and express bus services to Beijing and other areas in the northeast, Dalian is connected by passenger ship service to neighbouring coastal cities, including Tianjin, Yantai, Weihai, Penglai and Dongying, as well as Incheon, South Korea. In 2006, Dalian was selected as the most liveable city in China according to China Daily. Dalian cuisine is a branch of Shandong cuisine, with influence from Northeastern Chinese cuisine, and is widely known for its unique style of seafood dishes. The variety of seafood in Dalian includes fish, prawns, clams, crabs, scallops, sea urchins, oysters, sea cucumbers, mussels, lobsters, conches, abalone, algae, razor clams, urechis unicinctus, mantis shrimps, jellyfish and so on. During the winter, many seafoods such as clams, mussels and abalone gain the most fat. Well-known theaters in Dalian are: Dalian People's Culture Club (mainly for music), Hongqi Grand Stage (for Beijing Opera), Working People's Theater-Doudou Grand Stage (Chinese: 工人剧院/豆豆大舞台, mainly for Errenzhuan) and Development Area Grand Theater (Chinese: 开发区大剧院). Sports play a big role in the local culture. Dalian's former association football club, Dalian Shide (formerly known as Dalian Wanda as the club was originally sponsored by the Dalian Wanda Group), achieved a total of eight titles from China's top-tier football league, the Chinese Jia-A League and the later rebranded Chinese Super League, and was widely considered one of the most successful clubs in Chinese football history. In the Asian Football Confederation, the club reached the 1997–98 Asian Club Championship and 2000–01 Asian Cup Winners' Cup finals. Several of China’s greatest players, including Sun Jihai, Hao Haidong and Li Ming, made their names with Dalian Shide. Dalian also produced many top Chinese football players thanks to its youth training system and grassroots football culture. As of the 2014 season of the Chinese Super League, out of the 448 registered Chinese players, a total of 71 players are from Dalian. Therefore, Dalian earned its nickname of China's "Football City" (足球城), and a giant football statue was placed in the Labor Park near downtown Dalian in its honor. Current football clubs in the city are Dalian Yifang playing in the Chinese Super League and Dalian Transcendence playing in the country's 2nd-tier league, the China League One. Their home stadiums are Dalian Sports Center Stadium and Jinzhou Stadium, respectively. As part of the 2013 National Games of China in Liaoning in 2013, Dalian was a host city for 12 events, including synchronized swimming, field hockey, gymnastics, sailing and canoeing. Xinghai Square, Dalian Xinghai Convention & Exhibitions Center, the Dalian World Expo Center and the hotels on Renmin Road are the main places where Dalian's major annual events are held. Every year from January to February, the Bingyugou Ice Lantern Festival is held in Bingyugou Scenic Area in Zhuanghe City. The event features a large number of ice sculptures, snow sculptures and colorful ice lanterns. Visitors can also participate in a series of ice-sports including ice-skating, ice hockey and iceboating. From late April to May, the Lüshun International Cherry Blossom Festival is held. The main site is 203 Hill, and the other site is Longwangtang Cherry Blossom Park. It is said that the very first cherry trees were planted by Japanese soldiers stationed in Lüshun during World War II, in order to ease their homesickness. Today, the 203 Hill site has more than 3000 cherry trees, and boasts to be the largest cherry blossom park in China with the most varieties. Each May, the Dalian International Walking Festival takes place. The purpose of the festival is to foster health and peace for the whole community. It is widely popular among citizens and attracts many foreign participants. Dalian is the only city in China recognized by the IML Walking Association. Four different routes of 30 kilometres (19 miles), 20 kilometres (12 miles), 10 kilometres (6.2 miles) and 5 kilometres (3.1 miles) are provided for participants, with the longest route going from Xinghai Square along Binhai Road to Laohutan Ocean Park, Bangchuidao Scenic Area and finally reaching Dalian International Conference Center. Starting from 2012, Jinshitan National Holiday Resort also serves as a venue for the festival. Every May, Dalian International Marathon is held. With the first marathon held in 1987, it is one of the four oldest marathon races in China. The main venue is the Jinshitan National Holiday Resort. Dalian International Beer Festival takes place in Xinghai Square every year from July to August. It is similar to Oktoberfest in Munich and is a widely popular event in the city. Activities of the Beer Festival include exhibitions by beer manufacturers, a beer disco plaza, a beer culture exhibition, a beer drinking contest, a photography contest, the Beer Industry Summit, and a beer quiz. Japan maintains a branch office for its Consulate General of Japan at Shenyang and a JETRO office in Dalian, reflecting a relatively large Japanese population. Japan Chamber of Commerce & Industry has about 700 corporate members. [citation needed] Those Japanese who had lived in Dalian before the War have organized the Dalian Society. Taoist temples can be found in various districts including downtown Dalian (Hua Temple in Zhongshan Park), in Lüshunkou District (Longwang Temple), and in Jinzhou District (Jinlong Temple in Daweijia, Xiangshui Temple at the foot of Dahei Mountain, and Zhenwu Temple in Liangjiadian). Dalian Catholic Church (built in 1926) is in downtown Dalian, west of Dalian Railway Station. Protestant churches are near Zhongshan Square (Yuguang Street Church, the former Dalian Anglican Church, built in 1928 in the British Consulate General's premises by the Church of England and Anglican Church of Japan jointly), on Changjiang Road (Beijing Street Church, now called Cheng-en Church, originally built in 1914 by the Danish Lutheran Church), on Xi'an Road (Christian Church for Korean Chinese and South Koreans), east of the airport (the newly built Harvest Church, which can seat 4000 people), in Jinzhou (the newly built Jinzhou Church) and in Lüshunkou District (Lüshun Church, a former Danish Lutheran church). Dalian Mosque is on Beijing Street. Bi Fujian (毕福剑), director, host and professor. Bo Xilai (薄熙来), former mayor, removed from Politburo under corruption charges. Lai Yawen (赖亚文), retired middle blocker and current assistant coach of the China women's national volleyball team. Li Changchun (李长春), Chinese politician, former member of the Politburo Standing Committee of the Communist Party of China. Li Yongbo (李永波), retired badminton player and current head coach of the China National Badminton Team. Liu Changchun (刘长春), sprinter, first athlete to represent China in competition at the Olympic Games. Xia Deren (夏德仁), former mayor from October 2006 to May 2009. Xue Jiye (薛继业), painter and sculptor. ^ a b c d 2014年大连市国民经济和社会发展统计公报 (2014 Dalian Statistical Report for Economic and Social Development). 大连市统计信息网 (Dalian Statistics Bureau) (in Chinese). 19 March 2015. Archived from the original on 8 December 2015. Retrieved 15 April 2015. ^ 人类发展指数达到0.86 大连市已进入高人类发展水平 (in Chinese). 半岛晨报. Retrieved 29 October 2014. ^ 枫丹白露. "Dalian Promotional Video". v.qq.com. Retrieved 27 April 2015. ^ 中央机构编制委员会印发《关于副省级市若干问题的意见》的通知. 中编发5号 [Circular of the Central Organizing Committee on Printing and Distributing the Opinions on Several Issues Concerning Sub-provincial Cities. Zhong Zhefa  No. 5] (in Chinese). 豆丁网 [Douding network]. 19 February 1995. Archived from the original on 29 May 2014. Retrieved 2014-05-28. ^ Old photos of "Dalniy"
^ "The Global Financial Centres Index 19". Long Finance. March 2016. ^ "The Global City Competitiveness Index" (PDF). Managementthinking.eiu.com. 12 March 2012. Archived from the original (PDF) on 14 April 2016. Retrieved 1 March 2015. ^ Jing, Fu (3 January 2006). "Beijing drops out of top 10 'best city' list". China Daily. Retrieved 12 February 2014. ^ They also renamed the bay for Queen Victoria. Kuramoto p. 19. ^ "Accounts of the Martyrs of the Chinese Orthodox Church who fell victim in Beijing in 1900". Nina Tkachuk Dimas. Retrieved 14 September 2011. ^ "Anti-Western Protests Flare in Several Chinese Cities – Fox News". Fox News. 20 October 2011. ^ "Protests continue; restraint urged". China Daily. 21 April 2008. Archived from the original on 22 April 2008. Retrieved 2013-01-02. ^ "World Economic Forum: The Inaugural Annual Meeting of the New Champions". China.org. Retrieved 29 August 2008. ^ a b 中国气象局 国家气象信息中心 [National Meteorological Information Center of China Meteorological Administration] (in Chinese). China Meteorological Administration. Archived from the original on 18 March 2013. Retrieved 19 November 2009. ^ Dalian Municipal Government of China, one of 18 Individuals and Organizations, to Receive United Nations Environment Award – United Nations Environment Programme. Unep.org (28 May 2001). Retrieved on 2 January 2013. ^ a b "Environmental Protection". Dalian China. 7 April 2008. Archived from the original on 18 January 2010. Retrieved 2009-11-19. ^ "Air Quality Daily". Ministry of Environmental Protection of China. Archived from the original on 5 May 2010. Retrieved 2009-11-19. ^ a b c "Urban Security in China – A Case Study of Dalian". The Nautilus Institute. 6 September 2011. Retrieved 2 January 2013. ^ Jacobs, Andrew (30 July 2010). "Group Says China's Official Oil Spill Figure May Be Too Low". The New York Times. Retrieved 17 August 2011. ^ "Rush is on to stem Yellow Sea oil spill". The Boston Globe. Archived from the original on 16 May 2012. Retrieved 14 September 2011. ^ 1st details on China oil spill's cause emerge. The China Post (24 July 2010). Retrieved on 2 January 2013. ^ "Oil Leak From Dalian Pipeline Explosion, Fires Is Under Control, CNPC Says". Bloomberg. 17 July 2010. ^ Watts, Jonathan (20 July 2010). "China recruits 800 fishing boats to disperse Yellow Sea oil slick". The Guardian. London. ^ China port city cleans up pollution belt after fire – People's Daily Online. English.peopledaily.com.cn (18 July 2010). Retrieved on 2 January 2013. ^ Watts, Jonathan (14 August 2011). "China orders petrochemical plant shutdown after protests". The Guardian. London. Retrieved 17 August 2011. ^ Thousands protest against Chinese chemical plant. BusinessWeek (14 August 2011). Retrieved on 2 January 2013. ^ Lafraniere, Sharon; Wines, Michael (15 August 2011). "Plant Protest Shows China's Officials Under Pressure". The New York Times. ^ Tang Hao (6 September 2011) Public storm in Dalian. chinadialogue. Retrieved on 2 January 2013. ^ In Fast-Growing China, a Warning About When Prosperity Isn't Enough – Christina Larson – International. The Atlantic. Retrieved on 2 January 2013. ^ Energy Futures and Urban Air Pollution: Challenges for China and the United States. Nap.edu (1 June 2003). Retrieved on 2 January 2013. ^ "Dalian port ideally placed on the cusp of prosperity". The National. 16 September 2011. Retrieved 2 January 2013. ^ "The JOC Top 50 World Container Ports". JOC.com. ^ "The Lloyd's List of the World's Busiest Container Ports 2013". Archived from the original on 28 March 2015. ^ "Intel debuts new Dalian fab". People's Daily Online. 2010-10-27. Retrieved 26 January 2012. ^ Zhang, Xiaomin; Hu, Shi. "Chery Auto starts mass production in Dalian". China Daily. Retrieved 29 December 2014. ^ "Dongfeng Nissan Dalian Plant Commences Production". nissan-global.com. Archived from the original on 29 December 2014. Retrieved 29 December 2014. ^ 港媒：比亚迪纯电动巴士大连下线 电池项目已正式启动 [Hong Kong media: BYD pure electric bus battery Dalian line project has been officially launched]. 凤凰财经 (in Chinese). Retrieved 29 December 2014. ^ "Introduction to Bank of Dalian". Official Website of Bank of Dalian. Retrieved 22 November 2014. ^ "The DCE at a Glance". Official Website of Dalian Commodity Exchange. Archived from the original on 8 December 2015. Retrieved 30 November 2015. ^ a b c "Overview of Dalian Hi-Tech Industrial Zone". Official website of Dalian Hi-Tech Industrial Zone (in Chinese). Retrieved 29 November 2014. ^ Nystedt, Dan (25 October 2010). "Intel opens first chip manufacturing plant in China". IDG. Retrieved 2 September 2011. ^ Hangzhou, Chengdu, Dalian Named 'Best Tourist City'. china.org.cn (10 February 2007). Retrieved on 2 January 2013. ^ a b "Brief information on Laohutan Ocean Park". China Tour Online. Retrieved 27 November 2014. ^ "Laohutan Ocean Park". Official website of Laohutan Ocean Park. Retrieved 7 November 2014. ^ "Bangchui Island". Focus on Dalian. Archived from the original on 19 December 2014. Retrieved 19 December 2014. ^ "Introduction to Jinshitan". Official website of Jinshitan National Holiday Resort. Retrieved 28 November 2014. ^ a b "Dalian Discoveryland Theme Park". Official website of Jinshitan National Holiday Resort. Retrieved 20 December 2014. ^ "Museum Introduction". Official website of Japanese and Russian Prison Site Museum in Lushun. Retrieved 28 November 2014. ^ Focus on Dalian Issue 43. Oriental Vision Communications Co., Ltd. Dalian. p. 27. Retrieved 28 November 2014. ^ Yang, Chi-Jen (26 January 2010). "Launching strategy for electric vehicles: Lessons from China and Taiwan" (PDF). Technological Forecasting & Social Change. 77. doi:10.1016/j.techfore.2010.01.010. Archived from the original (PDF) on 6 June 2014. Retrieved 27 November 2014. ^ 大连地铁集团有限公司. www.dlsubway.com.cn (in Chinese). Retrieved 2018-02-26. ^ 2014年民航机场吞吐量排名 [2014 Airline airport throughput ranking] (in Chinese). Civil Aviation Administration of China. 3 April 2015. Archived from the original on 19 April 2015. Retrieved 3 April 2015. ^ Jing, Fu (3 January 2006). "Beijing drops out of top 10 'best city' list". China Daily. ^ "Dalian dining is all about abalone, sea cucumbers and sea urchins - 5 places to try them". South China Morning Post. Retrieved 2017-09-21. ^ "Dalian Cuisine". Visit Our China. Retrieved 25 November 2014. ^ a b "Dalian Dining". Travel China Guide. Retrieved 25 November 2014. ^ "Dalian Dining". Tour-Beijing.com. Retrieved 25 November 2014. ^ van de Ven, Johan. "Death of an Institution: The Dalian Shide Story". Wild East Football. Retrieved 22 November 2014. ^ a b 没有中超咱大连仍是足球城 71连籍球员遍布中超. 网易体育 (in Chinese). Retrieved 22 December 2014. ^ van de Ven, Johan. "CHINA'S "FOOTBALL CITY" FACING WIPEOUT – DALIAN AERBIN IN CRISIS". Wild East Football. Retrieved 22 December 2014. ^ 大连市体育局. www.tyj.dl.gov.cn (in Chinese). Retrieved 2017-09-21. ^ 全运会大连赛区正式赛12个项目大会 竞赛日程表. Official Website of 2013 National Games of China (in Chinese). Retrieved 19 December 2014. ^ "The Fairy Bingyu Valley Scenic Spot". China Tour Advisors. Retrieved 25 November 2014. ^ "Introduction to Dalian Walking Association". Official website of Dalian Walking Association. Archived from the original on 24 December 2014. Retrieved 25 November 2014. ^ 大连国际马拉松 城市名片不可丢. dl.sina.com.cn (in Chinese). 大连晚报. Retrieved 25 November 2014. ^ "Why CISIS?". CISIS official website. Retrieved 25 November 2014. ^ "Dalian Festivals". beijing-travels.com. Retrieved 25 November 2014. ^ "Dalian International Auto Exhibition". Official website of Dalian International Auto Exhibition (in Chinese). Retrieved 25 November 2014. ^ "The 24th Fashion Carnival of Dalian International Fashion Festival". China Exhibition. Retrieved 25 November 2014. ^ "Taiwan's logistics giant Evergreen Int'l Corp to expand investments in Dalian". What's on Dalian. Retrieved 14 June 2012. ^ "International Exchange". 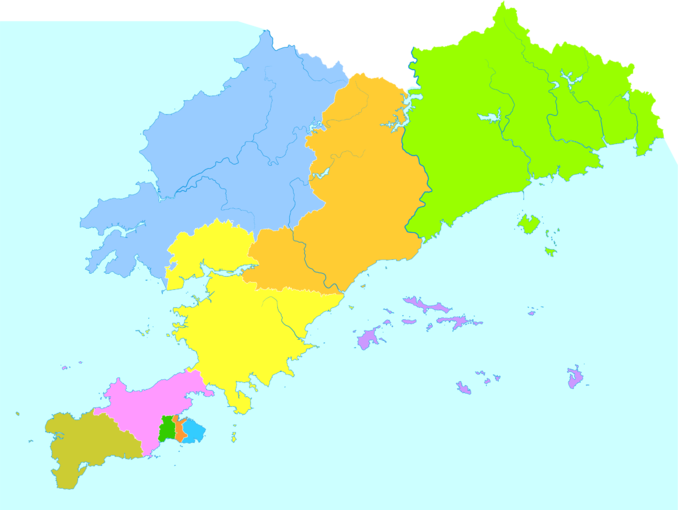 List of Affiliation Partners within Prefectures. Council of Local Authorities for International Relations (CLAIR). Archived from the original on 22 November 2015. Retrieved 8 December 2015. ^ Frohmader, Andrea. "Bremen - Referat 32 Städtepartnerschaften / Internationale Beziehungen" [Bremen - Unit 32 Twinning / International Relations]. Das Rathaus Bremen Senatskanzlei [Bremen City Hall - Senate Chancellery] (in German). Archived from the original on 18 July 2011. Retrieved 9 August 2013. ^ "International exchange activated with globalization". International exchange activated with globalization. Ehime Prefecture. Archived from the original on 30 September 2018. Retrieved 27 October 2018. ^ Florence, Jeanne. "Le Havre - Les villes jumelées" [Le Havre - Twin towns] (in French). Retrieved 7 August 2013. ^ "Le Havre - Les villes jumelées" [Le Havre - Twin towns]. City of Le Havre (in French). Archived from the original on 29 July 2013. Retrieved 7 August 2013. ^ "Kontakty partnerskie Miasta Szczecin". Urząd Miasta Szczecin (in Polish). Archived from the original on 18 August 2012. Retrieved 29 July 2013. ^ "Dallas mayor inks friendship pact with North China port city". www.pegasusnews.com. Dallas/Fort Worth. 29 April 2008. Archived from the original on 13 October 2012. Retrieved 2 January 2013. ^ "Sister Cities". Dallas-ecodev.org. Retrieved 23 May 2010.